William H. Johnson was a barber in the mid-1800s. More specifically, William H. Johnson was a free black, prior to and during the American Civil War. He was also President Abraham Lincoln’s valet and personal barber. Think about that a bit… given that slavery was the all encompassing issue of the day, and given that Lincoln did ultimately free the slaves, do you see possibility for a more substantial contribution from Mr. Johnson than simply cutting the President’s hair? It’s conjecture, but it’s not entirely out of line to venture that Johnson and Lincoln had the same kind of rapport you have with your barber today. In fact, it could well have been more intimate, given the expanse of Johnson’s duties. Regardless, this much is clear: Johnson served as Lincoln’s most personal and direct connection to black America at the time. And though there’s few records of the conversations between the two … it doesn’t take too much of a leap to understand that Lincoln’s personal valet may have influenced more than Honest Abe’s looks. Johnson began working for Lincoln in Springfield Illinois in early 1860. On November 18, 1863, Johnson traveled by train with Lincoln to Gettysburg, Pennsylvania for the dedication of the Soldiers’ National Cemetery, where Lincoln delivered the Gettysburg Address the next day. On the return trip, Lincoln became ill with what turned out to be smallpox. Johnson tended to the President, but by January he himself came down sick with the disease, and died later that same month. Lincoln arranged for and paid for Johnson’s burial. 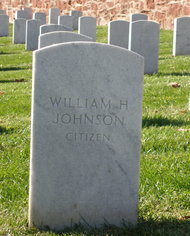 We can’t be sure (because burial records from the time were not well kept) but some believe Johnson was buried in Arlington National Cemetery. I know it’s a cliche that we have special relationships with our hairdressers … but to imagine that there were substantive personal conversations between the President and his minority valet while he was being attended to is not that much of a stretch is it? But conversations are one thing. Influence is another; it implies a change of mind, which is evidenced by a change in action or behavior. While Lincoln morally opposed slavery, he differentiated between his personal views and what he perceived was his official duty as President. Officially he felt he must save the Union above all else. As the Republican candidate for president in the election of 1860, Lincoln was a moderate within his party; at that time he was only opposed to the expansion of slavery. Even after his election triggered state secessions and the beginning of war, he held fast, initially prohibiting his generals from freeing slaves even in Union-captured territories. But a few months later — on January 1, 1863 — Lincoln delivered the Emancipation Proclamation, immediately freeing 50,000 slaves, with nearly all the rest (over 3 million) actively freed as Union armies advanced. 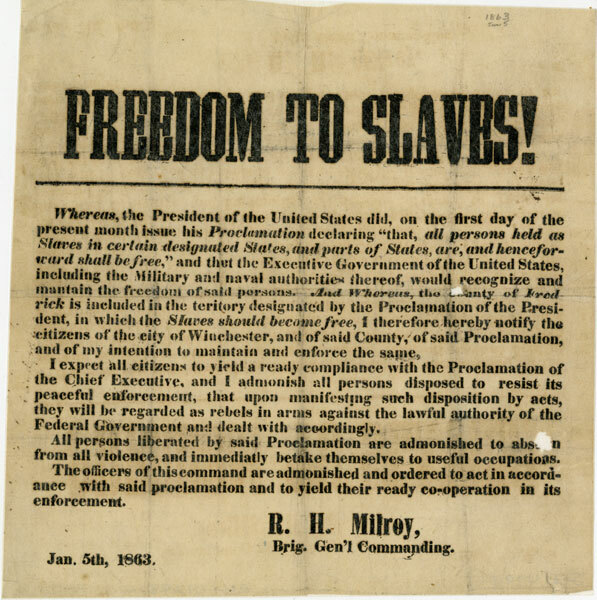 Slavery was made illegal everywhere in the U.S. by the Thirteenth Amendment, which took effect in December 1865. President Abraham Lincoln is at times referred to as The Great Emancipator. But we know that he did not start out intending to free the slaves. And we know that William H. Johnson, his African-American valet, had up close and personal interactions with Lincoln; some, perhaps, of the kind that we might imagine would be honest exchanges of perceptions and feelings; and some, perhaps, highly relevant to the singular issue of the times. So, while we can’t be sure — I’ve really only elaborated on Bell’s initial suggestion and at best have only established correlation, and not causation — isn’t it intriguing to consider that William H. Johnson might have — in service to the President as valet and personal barber — played a critical role in freeing the slaves? For further reading, see Mr. Lincoln and Mr. Johnson by Phillip W. Magness and Sebastian Page. A timely post what with our viewing of Lincoln over the weekend and a thoughtful point.